The doctor is in the house! 28 year-old surgeon and medical doctor Aderonke Adebimpe Oluwabunmi Ojewole goes by a 'Bunmi' in the Mixed-Martial Arts world, where she competes at Extreme Fighting Championship. Nicknamed the "Bone Bender," Bunmi can bend bones inside the hexagon, and repairs them outside of it. With a wealth of knowledge to share and an infectious smile, I wanted to hear more about the women's Bantamweight athlete and what drives her, inside and outside of the EFC hexagon. "I am a medical doctor and surgeon by day, with a strong interest in orthopaedic surgery. There are too many rewarding moments that come to mind [in the medical field]. I have helped very sick children overcome their illnesses and watch them turn back into the highly active personas that their mothers recognise. I have helped a music artist regain function of broken limbs so that he can make music again." Speaking of the arts, Dr. Bunmi also loves writing poetry, drawing (mostly anime inspired), and playing guitar. "My artistic side also needs an outlet. Haha!" 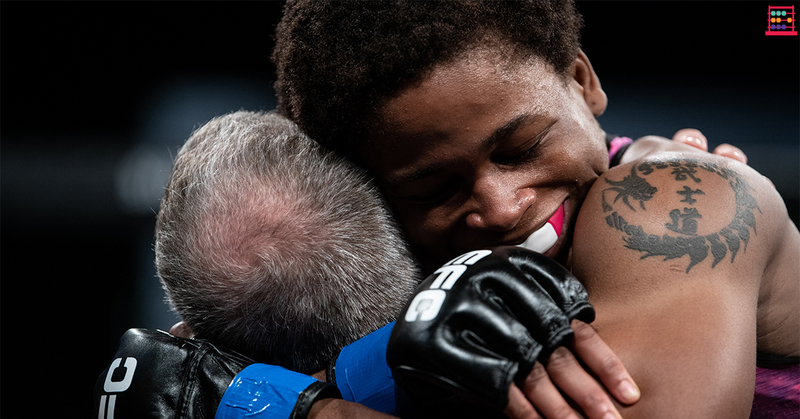 While Bunmi cuts an intimidating figure inside the MMA arena, her positive and infectious demeanour highlights the multi-layered lives of EFC athletes. I easily identified with Bunmi because I see this with EasyEquities clients on the daily. Breaking traditional perceptions of investors and stock market lovers, the #EasyCommunity is made up of so may different professionals including teachers, theatre kids, dietitians, engineers, entrepreneurs, and students to name a few. While investors typically have to sacrifice money (in the present, or past) for more money in the future, I wanted to know what kind of sacrifice she has had to make to reach impressive athletic levels. "Time is the most precious commodity. I have to invest a lot of it into training consistently to maintain the all year round preparedness that is required of a professional athlete." Consistency, an important part some new investors neglect when getting started on their journey. I often emphasize the value in having Recurring Investments, not only because the habit of investing makes for an essential component in wealth creation, but also because it unlocks the value in compound interest. The doctor's discipline is further underscored by an important lesson she has learned from (in my opinion, the world's greatest) Muhammad Ali: "the fight is generally won and lost before you enter the arena." The same goes in the investment arena. Preparation (research), time, and belief (in your understanding as an investor and even in the markets in general) can determine how much you gain in your journey toward wealth creation and financial freedom. Here's my own challenge to potential investors with EasyEquities - make use of the free EasyEquities Demo accounts you get upon signing-up to build your understanding of the markets. Grow that confidence muscle of yours and become a beast! What's stopping you?! Nothing is stopping the doctor in her own pursuits. "The sky is the limit. 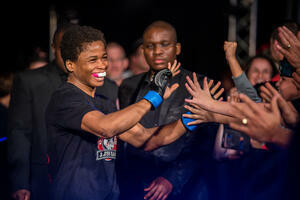 I would like to get more bouts but the women's division is really small. So in the meantime, I am looking to test and strengthen my greatest asset by doing more international Brazilian Jiu Jitsu competitions. Then one day I will hopefully fight in MMA abroad as well." "I am forever the optimist, so definitely bull."